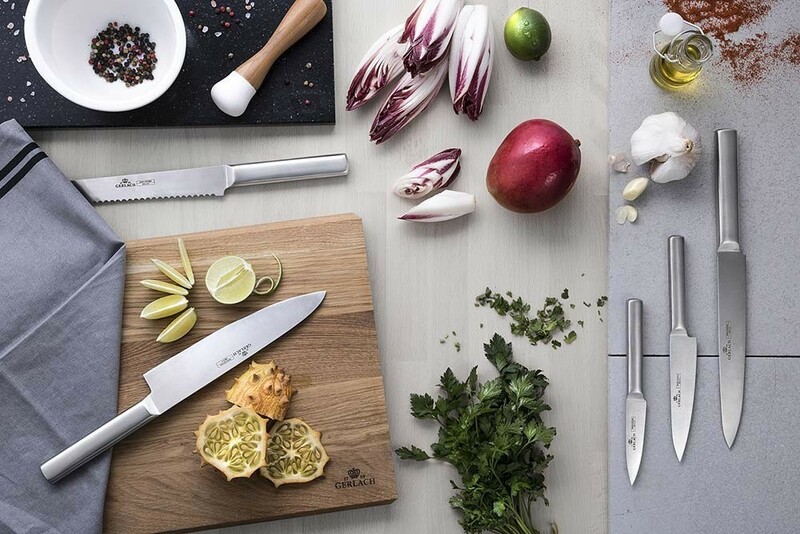 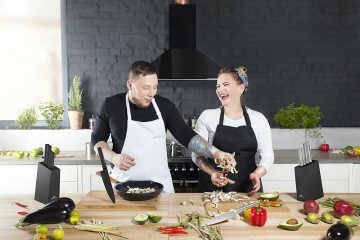 The Ambiente set consists of amazingly practical and stylish knives that will assist every cooking enthusiast in their everyday preparation of breakfasts, dinners, desserts and suppers. 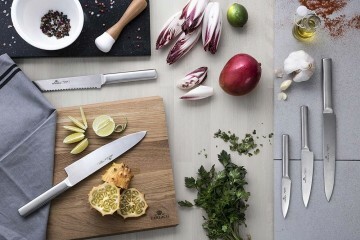 The steel knives perfectly match the black of the varnished beechwood block. 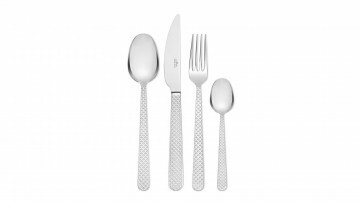 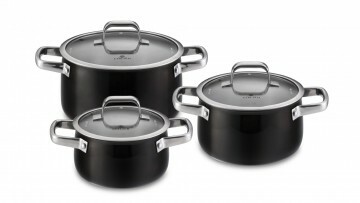 The unique design of the series will definitely make the set an attractive adornment on tables or kitchen worktops. 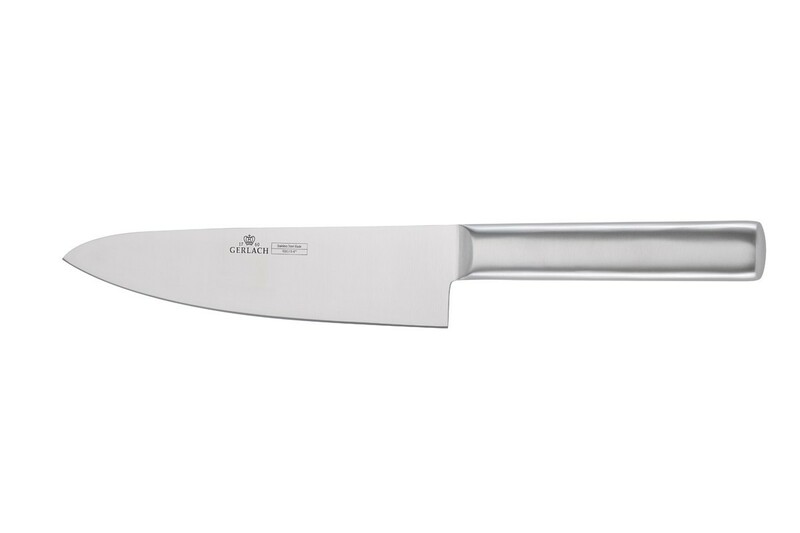 The kitchen knives are made entirely of the highest quality X30Cr13 stainless steel strengthened with chrome, which ensures increased resistance to corrosion. 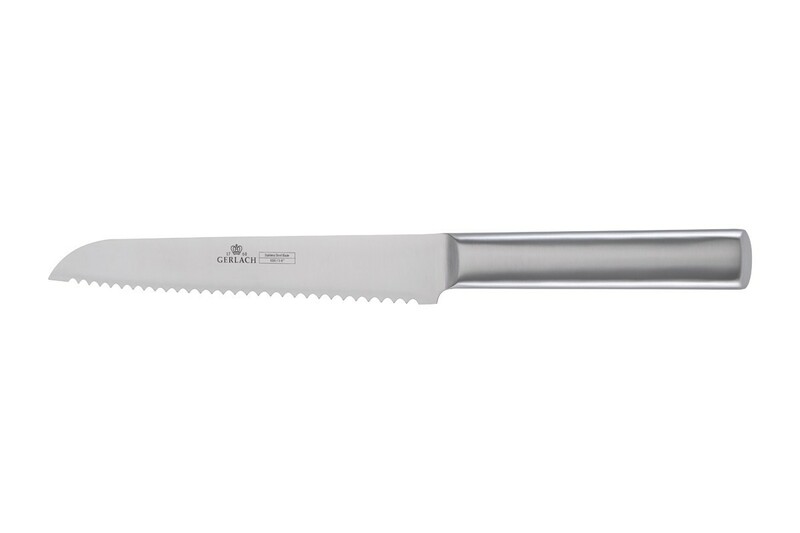 The hardness of the Ambiente knife’s blade is 55–56 HRC on the Rockwell scale, which indicates the ability to retain sharpness for a given period, and also examines resistance to mechanical damage and overloading of the blade. Hard knives retain their sharpness for longer, but at the same time it is more difficult to sharpen them, they are less flexible and more susceptible to cracks and chipping. On one hand, each knife should be rigid in order to cut various ingredients precisely, but on the other, it needs to be flexible enough so as not to crack when the cutting angle changes or considerable pressure is applied to it. 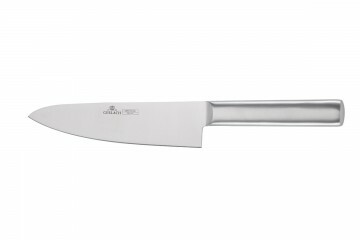 In the majority of cases, the hardness of kitchen knives is from 52 HRC up, whereas a value of 57–58 HRC means hard steel. 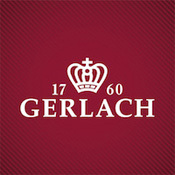 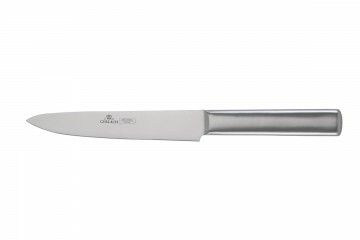 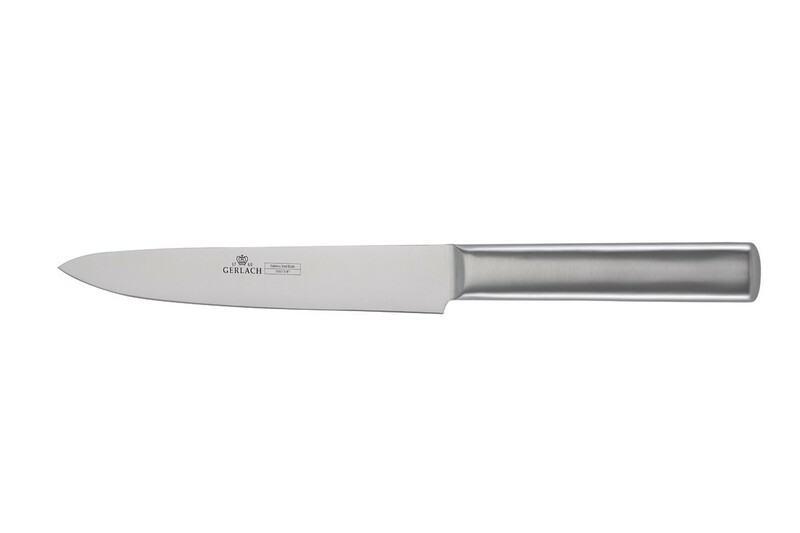 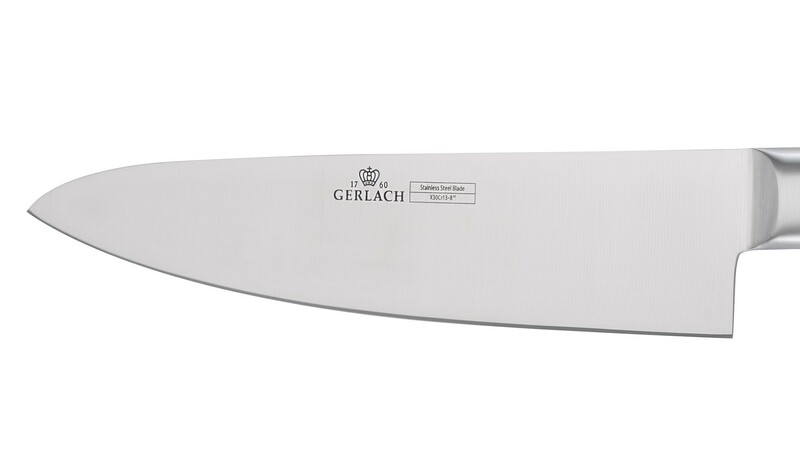 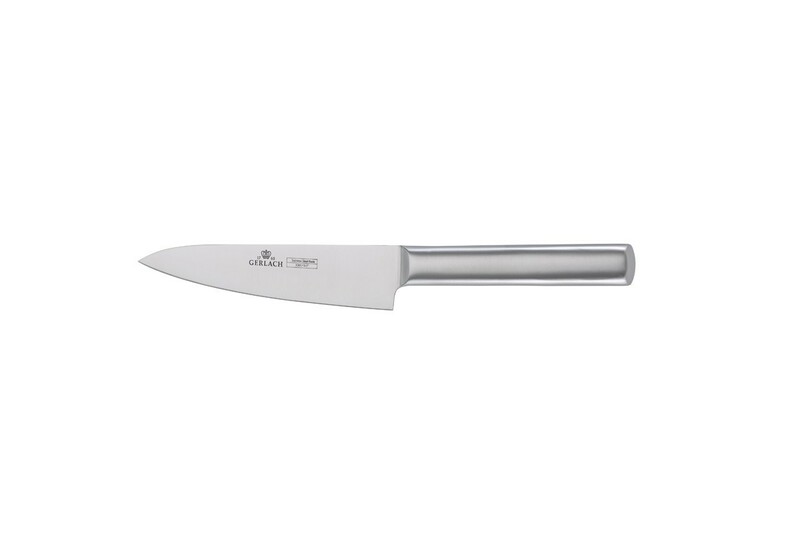 The hardness of the kitchen knives manufactured by Gerlach is adjusted in such a way as to ensure exceptionally precise and sharp cutting, while simultaneously minimising the probability of breaking the blade during intense use. 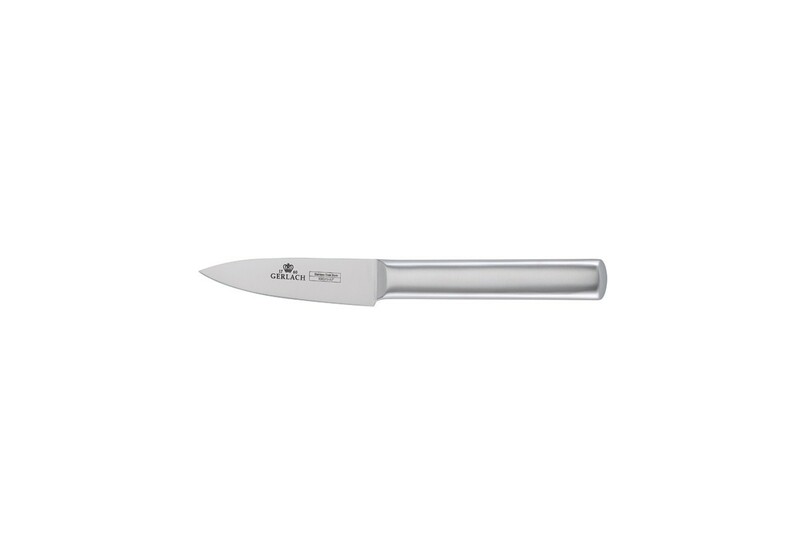 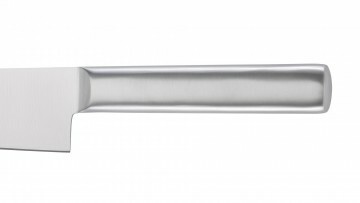 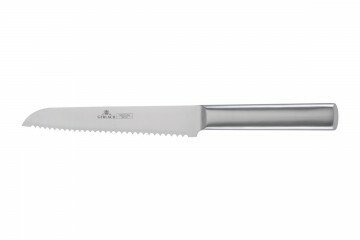 The comfortable and ergonomic handles of the knives are also made of stainless steel. 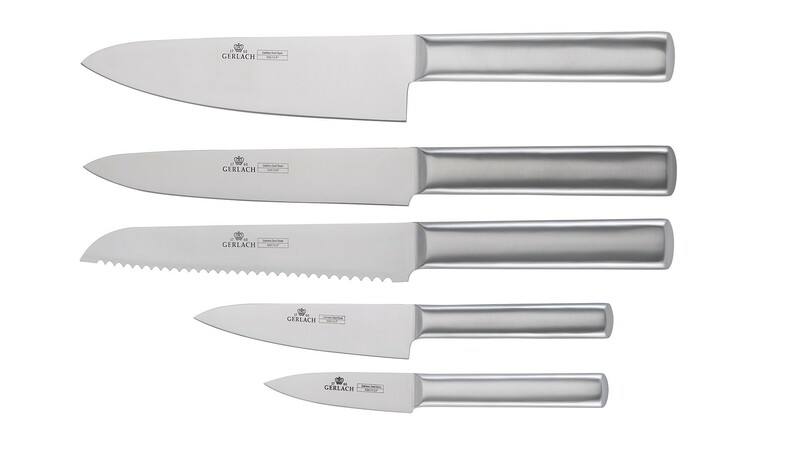 The Ambiente set is available with a block made of varnished beechwood, which will not only help to store the knives, but will also be an excellent decorative element. 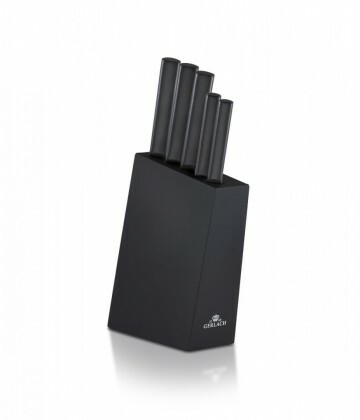 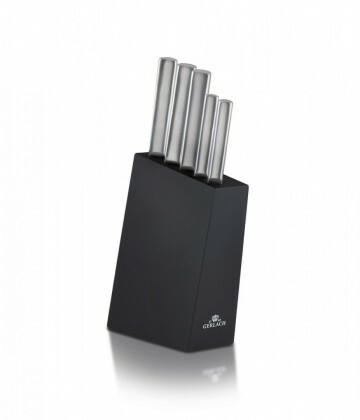 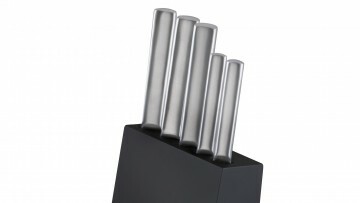 There are five knives available in the Ambiente set, the functions of which vary depending on the finish and size of the knives.